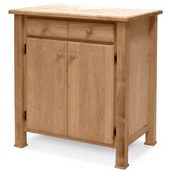 Solid wood kitchen islands from International Concepts heighten the efficiency of your kitchen with storage and food preparation capabilities. 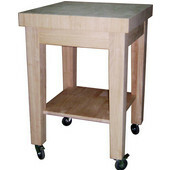 The kitchen islands come in a variety of styles to accommodate your specific kitchen configurations and needs. 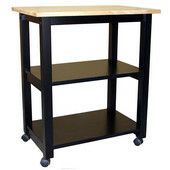 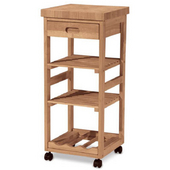 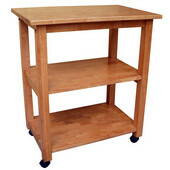 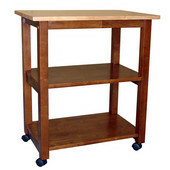 Choose open or enclosed storage, portable or stationary kitchen islands to complete your kitchen. 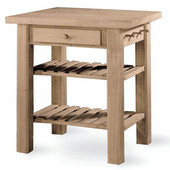 Made of solid parawood, the kitchen islands come unfinished and can be finished however you would like. 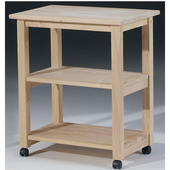 A Masterfinish kit in an array of shades is also available.